LKAB class DM3 and class IORE locos, Narvik station, 23 July 2015. 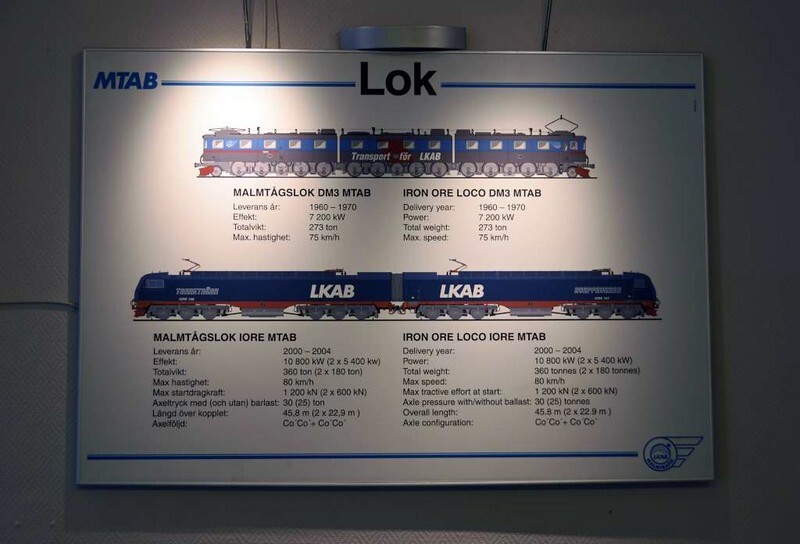 ASEA built the 7200kW DM3 triple locos 1960 - 1970. They have now been replaced by the 10,800kW IORE twin locos built by Bombardier 2000 - 2014.